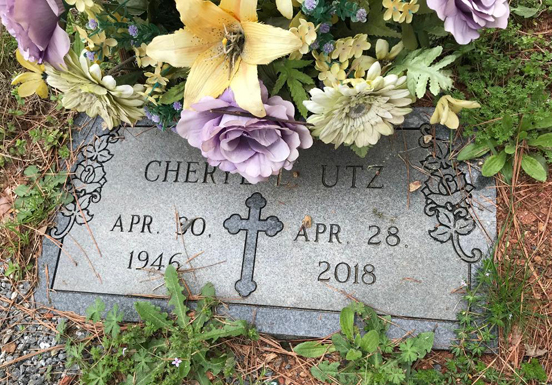 Cheryl Lorene Utz, age 71 of Canton, passed away on Saturday, April 28, 2018 at Northside Hospital Cherokee. The family will receive friends at Darby Funeral Home on Friday, May 4th from 2:00p.m. to 9:00p.m. The funeral will take place on Saturday, May 5th at 11:00a.m. from the chapel of Darby Funeral Home with Wallace Wheeles officiating. Interment will follow at Old Macedonia Campground Cemetery. Fifteen grandchildren and 2 great-grandchildren also survive.